At St. Peter’s, we believe that making music is a wonderful way to praise God, draw ourselves together in a community, and celebrate the beauty of creation. We sing music from our rich Anglican choral tradition, as well as music from a variety of other cultures. Our several choirs, our organ, and our concert series keep the church ringing with sound. Come and join us! You will find your place and your voice here with us. We welcome children and adults with a wide variety of musical experience. We gather in a congenial atmosphere of learning and fellowship. 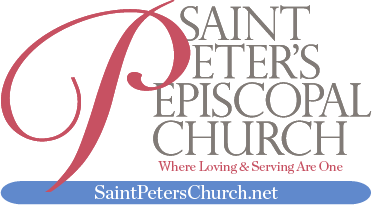 If you are interested in participating in one of our choirs, in our music series or in any other way with the music program at St. Peter’s, please contact us. Adult Choir is composed of adults and high school students. We meet at 8:30 AM on Sunday mornings for rehearsal. In addition to Sunday rehearsals, we will gather on other days for special rehearsals for Holy Days and other Festivals. Treble Choir is composed of elementary school aged students (grades 1-6) and we meet at various times during the year following the 10:00 AM service and Sunday School. Younger children are welcome to participate, and can speak with the Choirmaster for more details. The thirty-five member Providence Chamber Orchestra was founded in 1999 to meet the musical needs and aspirations of its members, a group of talented, amateur musicians from the greater Philadelphia area, all of whom share a common passion for playing music. The group of volunteers rehearses twice monthly and presents an annual winter and spring concert in addition to accompanying the “St. John’s Choir & Friends” performance of major choral repertoire. This year’s concert is dedicated to the music of Franz Joseph Haydn. Julian Cartwright is a violinist/violist from Summit, NJ. He met Derek Maninfior while on staff at the Presbyterian Church of Chatham Township. Julian has degrees from Oberlin Conservatory and College, and he did his pre-college study at Juilliard. Since graduating, Julian has worked as a record producer, studio musician, teacher, composer/songwriter, and performer in a variety of genres and settings. He is also a visual artist. Chester County Choral Society is an 80-voice auditioned chorus in its 46th year of bringing excellent choral music to our region. Its Chamber Ensemble is a select 20-voice group focusing on advanced, mostly a cappella repertoire. Their 2018-19 concert cycle features diverse music from the 20th and 21st centuries. View Chester County Choral Society Events and Videos.